Creators of Mortal Kombat NetherRealm Studios have confirmed that the brutal beat ' em up is coming to the PS Vita. Not a lot of information is confirmed but Ed Boon a developer for NetherRealm Studios has confirmed that 'Mortal Kombat 9' will be coming to the PS Vita. 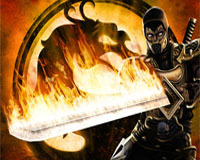 The game will be a direct port of Mortal Kombat 9 for consoles which recently came out this year. With all the fighting games coming to the PS Vita Mortal Kombar 9 will be a great addition, all this 3rd party support for the PS Vita seems to provide some great content for the PS Vita.